A comic-strip retelling of eleven of the best-loved stories about Robin Hood - the greatest hero of them all! 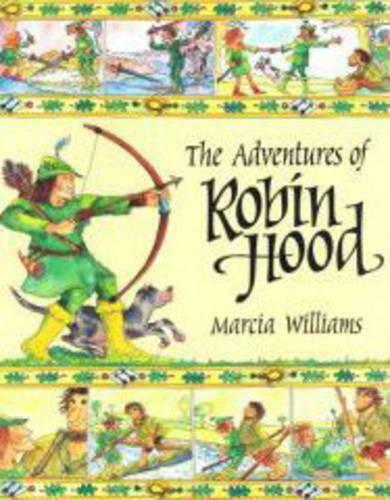 Told in lively comic-strip style, this book relates eleven colourful action-packed tales about Robin and his merry men. Read how Robin becomes an outlaw, gets a ducking from Little John and encounters a disguised Maid Marian in the forest; enjoy the stories of Much the Miller's Son, Friar Tuck, Allan-a-Dale, Sir Richard of Leigh and the golden arrow. Meet Robin's sworn enemy Sir Guy of Gisborne, witness his visit from King Richard and see Robin fire his final arrow.